ELBE Automatic AB do not just manufacture control equipment, but also have extensive experience in assisting with engineering knowledge in many different industries. We are an advanced knowledge-based business focused on electrical installation and industrial automation, among other things. Our engineers have a high level of technical expertise and many years’ experience in various different systems and industries. The food, process and nuclear industries such as energy, water and agriculture are sectors that we work in on a daily basis, both nationally and internationally. 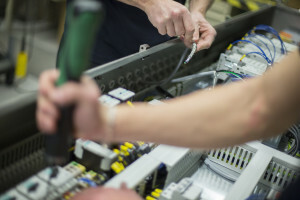 We always adapt systems to the job’s demands and requirements and therefore work with multiple vendors and systems such as ABB, Siemens, Rockwell, Mitsubishi, Beijer Electronics. 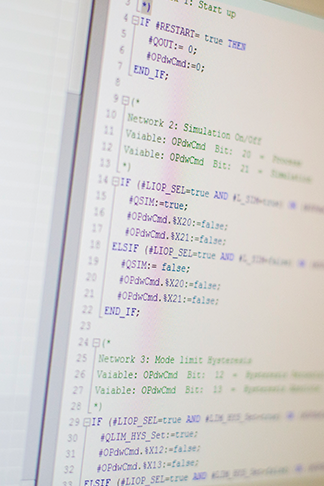 Our engineers are used to designing electrical systems for many different standards and directives where safety always comes first and where efficiency and reliability are central. 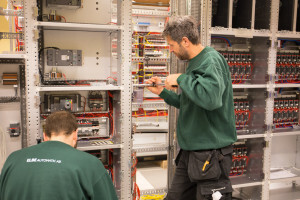 In our workshop we manufacture all types of controller cabinets, switchgears, panel boards, junction boxes and switchboards. Everything is designed, assembled and tested for reliability, user friendliness and personal safety. We manufacture control systems from scratch to finished product, as well as customer-adapted solutions taking into account safety, environment, management, standards and regulations, and economics. Together with the customer, we create optimal and economical solutions for each case. More than 30 years of experience, together with our extensive knowledge base and our high capacity form the basis for our production. At Elbe Automatic AB, we always work holistically. Today’s ever-growing demands on new systems mean that our staff and technology are always under constant development in order to always be ready for the more advanced requirements and needs of the market. We have extensive experience in providing both the Swedish and the international industry with distribution switchgears and motor control switchgears. Our experience has provided us with a good knowledge of the requirements of the industry. We have the expertise required to develop appropriate holistic solutions that can be fully customised in design. 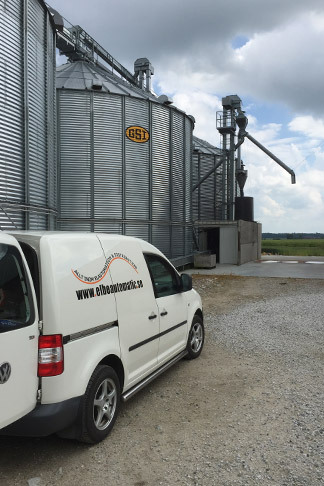 We offer our customers adaptability and short delivery times, which is made possible thanks our flexibility and efficiency. The flexibility comes from the fact that we work with several different brands. We want to prove that it is possible to engage in serial production in Sweden. Therefore we run serial production of cabinets, everything from small series of two at a time to larger series depending on customer requirements. The department that handles labelling is a natural and important part of the company. 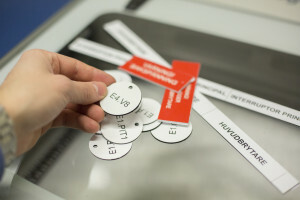 Labels are used not only for the equipment we manufacture, but also so that our customers can order laser-printed signs and labels in various sizes and materials such as plastic, aluminium and stainless steel. ELBE Automatic AB has installed and deployed the setup on a plethora of machines and plants for many years. The company has built up a wealth of experience and knowledge. Here we work frequently with installations on systems that will be subjected to the most demanding conditions, such as extreme temperatures, harsh chemicals or radiation. But of course, depending on the industry and the country, such things as standards and norms also play a crucial role in how we perform and customise the installation. After the installation, electrical tests and function tests are always carried out to ensure that the system not only meets the required standards and regulations, but also the client’s functional requirements. This is documented and archived. ELBE Automatic AB perform preventive maintenance as well as troubleshooting and maintenance work on facilities that have stopped unexpectedly. Again, we have extensive knowledge and experience in everything from small controllers to larger equipment installations and switchgears.